Become a Presenter and/or Sponsor! Presented by AIA Honolulu, CSI Hawaii, HAF, AIA Hawaii State Council and the UH School of Architecture. At the 2018 Design Symposium, some of the most creative architects, landscape architects, planners and design professionals in Hawaii and throughout the Northwest and Pacific Region will explore the theme: Building Voices: Livable Cities & Communities. BECOME A PRESENTER: The Symposium Committee invites you to submit your workshop or session proposals. The Design Symposium sessions and workshops will be held at the Hawaii Convention Center all day Wednesday, November 14, and the morning of Thursday, November 15. View our Session/Workshop Submission Form with more information on what we are looking for and how to be considered as a presenter. Deadline is Monday, July 2, 2018 by COB. WHY SPONSOR? Strengthen relationships and grow your business through a sponsor partnership at the 2018 Design Symposium. 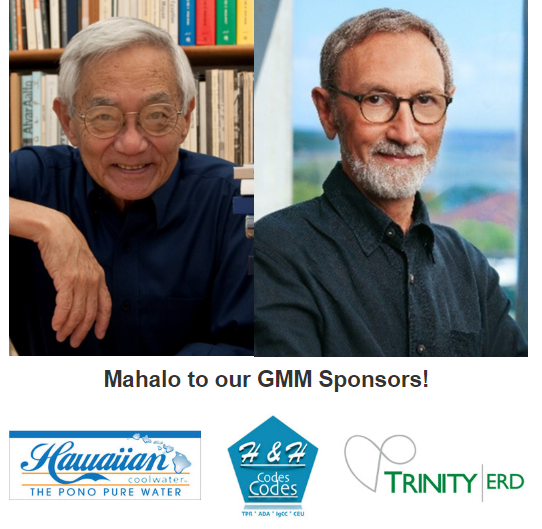 This is THE annual event for leaders, decision makers and professionals from the design industry in Hawaii to set fiscal, organizational, and industry standards for Design Professionals. 2018 Design Symposium Sponsorship Prospectus coming soon! Tuesday, Nov. 13: AIA Northwest & Pacific Region Leadership Summit and Annual meeting at the Center for Architecture. 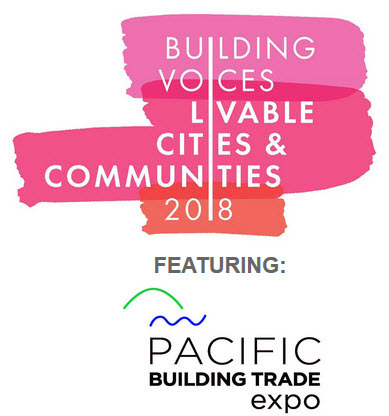 Wednesday, Nov. 14: The 19th Annual Pacific Building Trade Expo with a robust line-up of topical seminars as well as luncheon Keynote speaker Ed Mazria, FAIA. Thursday, Nov. 15: Breakfast keynote presentation followed by a half-day of interactive workshops that expand upon educational programming from the previous day. In the evening you are invited to join us for the AIA Honolulu and AIA Northwest Pacific Region Design Awards. 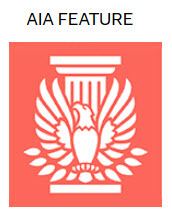 AIA Honolulu committee meetings are open to all active AIA Honolulu members. Register for Friday, May 11, 12pm-1pm! We invite all interested members to engage in the unique opportunity to take a look at Honolulu’s current zoning code and give feedback to the city for their upcoming revisions to the land use ordinance LUO. Qualifies for 1 AIA/CES LU. View the LUO Taskforce web portal with meeting information. Register for Monday, May 14, 12pm-1pm! 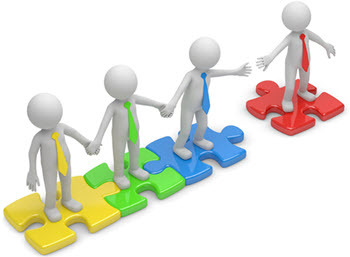 The joint task force will work on recreating the certificate of Licensure wall certificates. Volunteers will contribute time, talent and personal resources to establish a new design and production criteria for the Hawaii license wall certificate. May 12: Architectural Walking Tour - 5 Spots Still Available! Haven't attended one of our regular Architectural Walking Tours with AIA Honolulu? This is a fun architectural treat that should not be missed. The tour is of downtown Honolulu through the eyes of an architect from 9am-11:30am (check in 8:45am) starting at the Center for Architecture. John Hara, FAIA: Since 1970, John Hara’s practice has been devoted to the planning and design of sites and buildings which continue to re-define the contemporary language of Hawaiian architectural traditions. Among other honors, in 2015, John was awarded the AIA Northwest and Pacific Region Medal of Honor, and most recently in 2017, received the AIA Hawaii State Council / HAF Medal of Honor. Joe Ferraro, FAIA LEED AP: Vice President and President Elect of AIA Honolulu, Joe co-founded Ferraro Choi And Associates, a leading sustainable design architectural, interior design, and research firm. 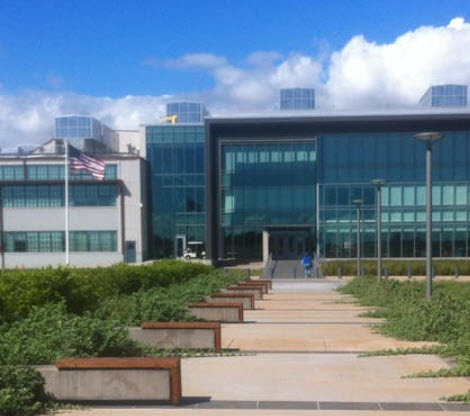 The firm’s office is located in the historic IBM Building was certified LEED CI Platinum in August of 2011. 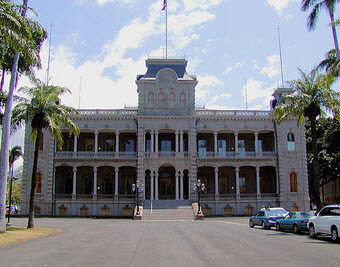 Recent projects include UH Information Technology Center, the UH Culinary Institute of the Pacific on Diamond Head, and the NOAA Inouye Regional Center on Ford Island, Pearl Harbor. Cost: $20 AIA Members; $30 Non-members (Includes lunch). Please RSVP by May 16, 12pm. In the last decade, carbon levels increased 20 parts per million (from 380 to 403), the population grew by one billion, global temperature increased by half a degree Celsius, and 25 percent more people moved into our cities. The world is rapidly changing and will be a very different place by 2030. In this talk, we’ll explore dozens of disparate trends in technology, sustainability and the construction industry and connect the dots to get a glimpse into how we can save the world AND save our businesses at the same time. You’ll learn how to stack emerging trends to forecast opportunities in the green building space. Read more. 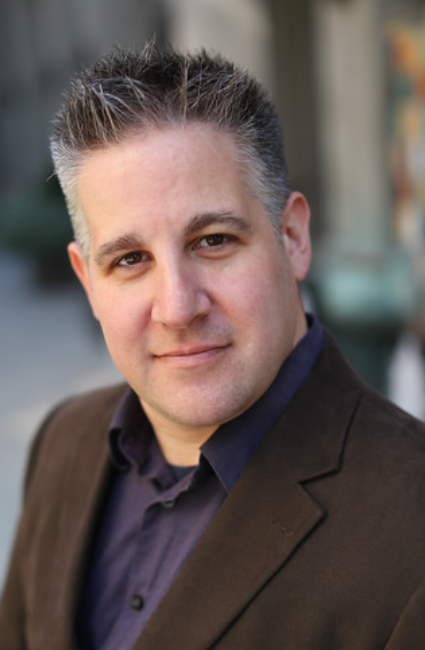 Speaker: Eric Corey Freed is an award-winning architect, author, and global speaker. As Sustainability Disruptor for Morrison Hershfield, he identifies solutions to problems most teams didn't know were holding them back. Cost: $10 AIA/USGBC Members and $20 Non Members. The Meeting of the Allied Minds Trivia Night will be a fun and unique event for members of AIA, ASLA, APA, LICH, and NAIOP to form interdisciplinary teams and compete in a game of trivia. You and your teammates will be challenged by trivia questions about landscape architecture, architecture, history, construction, and urban planning in Hawaii. Prizes for the winning team! Join us for a fun night of trivia, food, drinks, and collaboration. Cost: $10 Members and $15 Non-Members! AIA Honolulu is the registered provider. 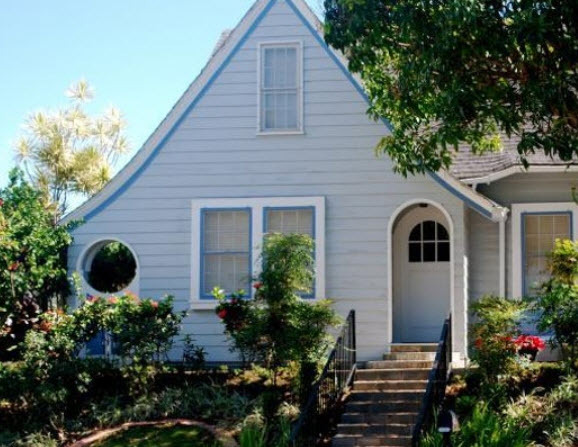 Historic Hawai‘i Foundation, in partnership with AIA Honolulu, have developed this series to provide information, knowledge and tools to help historic homeowners reduce their homes’ carbon footprint while retaining the properties’ historic integrity. Read more. AIA Honolulu is the registered provider for AIA/CES LUs (HSW). USGBC Hawaii is organizing a tour at the LEED Gold and AIA 2017 COTE Top Ten NOAA Daniel K. Inouye Regional Center. The Design Team (Ferraro Choi, HOK, and WSP) will be leading the tour highlighting some of the key building’s science innovations. They are also offering for the first time, LEED BD+C Specialty CEU credits for attendees. View Event Flyer. Cost: $20 USGBC Members & $30 Non Members. AIA Honolulu members will receive a $5 discount of the non-member rate when using promo code "AffiliatedOrgMembers" at check out. 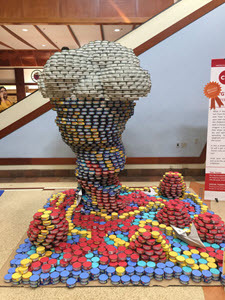 13th CANstruction® Competition - Teams Still Needed! Our 13th Annual Canstruction Competition will take place Saturday, Oct 6, 9am - 2pm. at Pearlridge Center - Uptown. You CAN make a difference in a child's life. Who CAN Participate? ALL in the Design and Building Industries can potentially participate in this community service project i.e. architects, engineers, contractors, and other design-related professionals. Welcome Morgan Hawley with AED Institute of America. AED Institute is a local distributor of Automated External Defibrillators (AEDs), accessories, and an American Heart Association training center. We can assist you with everything you need to make your business, school, or home, heart safe. With the new AED law in Hawaii, we can assist with purchasing your AEDs, servicing existing AEDs, and annual training, to ensure compliance. We strive to provide the absolute best customer service and aloha. We carry AEDs and accessories on-island for quick and easy purchasing and can price match our competitors. Our goal is to prepare you in the event of a cardiac emergency. View PDF Flyer. Questions? Email Morgan Hawley, Director of Operations, AED Institute of America or call at 808.440.8988. Welcome Eamonn Kinsella with Allana Buick & Bers, Inc.
Allana Buick & Bers, Inc. (ABBAE) is a leading Architectural Engineering firm with over 31 years of experience specializing in making buildings perform better. Our core expertise and strengths are in all exterior façade trades, curtain wall and glazing, roofing and waterproofing, HVAC and plumbing, energy efficiency, structural engineering, and construction management. We perform investigation, testing, engineering design, and prepare construction documents for both remedial and new construction projects. For both new construction and existing buildings, our services result in making buildings perform better by making them longer lasting with lower operating costs, and by reducing risk during construction. Questions? Email Eamonn Kinsella, Director, Business Development for the Hawaii Division or 808-691-0959. On Thursday, April 19th, over fifty members of the design community came together for a discussion led by Dean Daniel Friedman, FAIA to learn about the positive impact an accredited Bachelor of Architecture degree from the University of Hawaii would have on our community. After the successful results of the NAAB accreditation visit at the UH SoA were presented to attendees, lots of dialogue on the BArch took place, ultimately concluding in widespread support of the BArch among attendees. Following this discussion, AIA members, students, faculty and allied professions are encouraged to continue the momentum of the conversation. Please email Brent Tokita, AIA, Hawaii State Council President-Elect for more information. Jobs are posted for 1 month. Posting fee: $25/members, $40/non-members. .....go to the AIA Honolulu Job Board to view all jobs listed. Register! With construction activity flourishing, the webcast will disclose what economists in the construction industry expect for the months ahead. ConstructConnect's complimentary May 10 Webcast, featuring three of the sector's top economists, is specifically designed to help you navigate through the uncertainty. The free webcast is open to all. AIA members are eligible to receive 1.5 AIA CEU credits. Are there enough architects to meet the needs of profession in its current state? The article “How Many Architects Does Our Economy Need?,” published in Architect Magazine, addresses the staffing challenges architects face in a changing economy. In evaluating the relationship between construction activity and architectural positions, it concludes that the gap between existing architectural staff and the number required to handle current workloads is at a historic low. The findings also show that architectural staff will have to grow by 25,000 to handle the growth in the construction industry and replace those who have left the workforce. Environmental + Interior Design at Chaminade University of Honolulu will have their graduating students exhibit work on the Chaminade campus. Register: Click here for registration form. Reservation required. Limit 30. 4th Annual Ferguson Expo where manufacturer reps will answer your questions & show new products. Lunch & Light Pupus being served. In 2018 you will see lots of new and exciting sponsorship opportunities due to our new five-year strategic plan. Support your profession and become an AIA Honolulu Annual Sponsor Today! Your options are limitless! Annual Sponsorship! Interested in increased visibility throughout the entire year? Sign up today for 12 continuous months of benefits! View our Sponsorship prospectus and start your partnership with AIA Honolulu today. Sponsor Your Chapter Today & Add Your Firm Logo Here! Email or call us at (808) 628-7245 for questions. Questions? Email Camilla Nicholas, AIA Honolulu or call (808) 628-7245.